2) Sign in to your BrightPay Connect account. 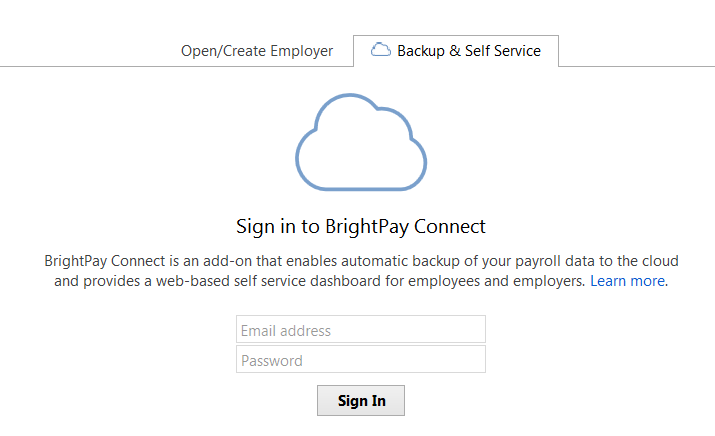 The employers that have been connected to your BrightPay Connect account will be displayed on screen, as well as the date and time that they last synchronised. 5) As soon as the download is complete, click 'Restore and Open' to replace your current data file with the backup. Alternatively, press 'Save as' to save the backup to a location on your computer.